By the end of this, you’ll probably hate the color yellow. There’s not a single ’90s kid out there who doesn’t know Pac-Man. Every single one of us begged our parents for quarters to control the tiny yellow dude on the screen, making sure he could eat even smaller yellow dots. Super cute sound effects ensued. Memories. And so, this week’s Video Game Fashion is dedicated to the arcade classic. Created by Namco in 1980, Pac-Man slowly but surely rose to popularity in the ’90s, spawning remasters and reboots left and right. 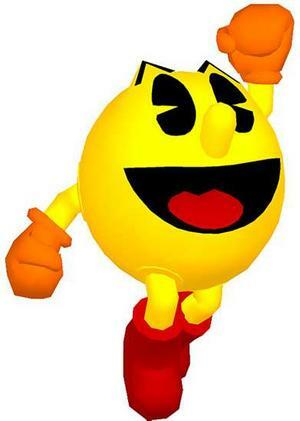 And while Pac-Man isn’t the only memorable character in the series, no one can forget his smiling, pointy-browed, yellow face. Without further ado, let’s get to the Pac-Man fashion! The mysterious Mr. Pac-Man essentially has no backstory. Who is he? Why is he so hungry? Why are these ghosts chasing him? We don’t know, so all we can do is help him on his quest to eat dots. Mr. Pac-Man is a colorful, fun, little man with his bright boots and bright gloves. For an outfit inspired by him, rock a bold palette with bright red Converse and orange-tinted sunglasses. Go all out with some bright banana-hued pants – you can’t channel Mr. Pac-Man without yellow! To balance out all the color, a white tee shirt is the perfect choice. There’s even a strawberry printed on the front for times when you need a tasty power-up of your own. 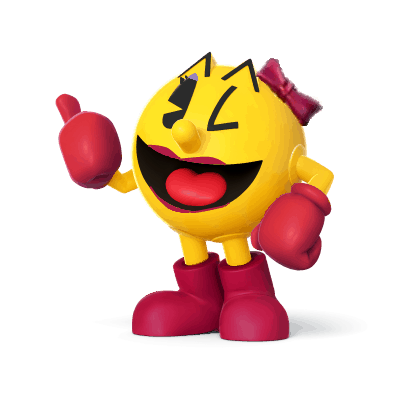 From her red lipstick to her girly bow, Ms. Pac-Man is a symbol for femininity in the game. However, just like her husband, she is a woman of mystery with little backstory. All we can do is let her eat dots and watch the cut scene featuring the both of them in between levels. Again, to channel the Ms., rock the yellow-and-red color combo with a yellow dress and strappy red flats. (Her boots are cool and all, but they might be a little over-the-top for everyday wear.) Finally, no Ms. Pac-Man outfit would be complete without her signature red bow and lipstick. 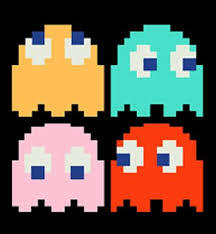 And lastly, how could we forget the (somewhat) rhyming-named ghosts we love to hate: Pinky, Inky, Blinky and Clyde? While we spend the majority of the game trying to avoid these things, Pac-Man wouldn’t be the same without these colorful foes. What could be better than a dress with the Pacman game printed on it? Add a bright yellow cardigan and some black, ankle strap flats, and you have an outfit fit for any Pacman lover. Don’t forget to rock a bright lip from NYX’s Butter Gloss collection. They have blues, pinks, reds, and even oranges, all to match whichever ghost you feel like channeling today. Are you a Pacman addict? Do you like the color yellow (or are you already overloaded)? Let me know what you think in the comments.